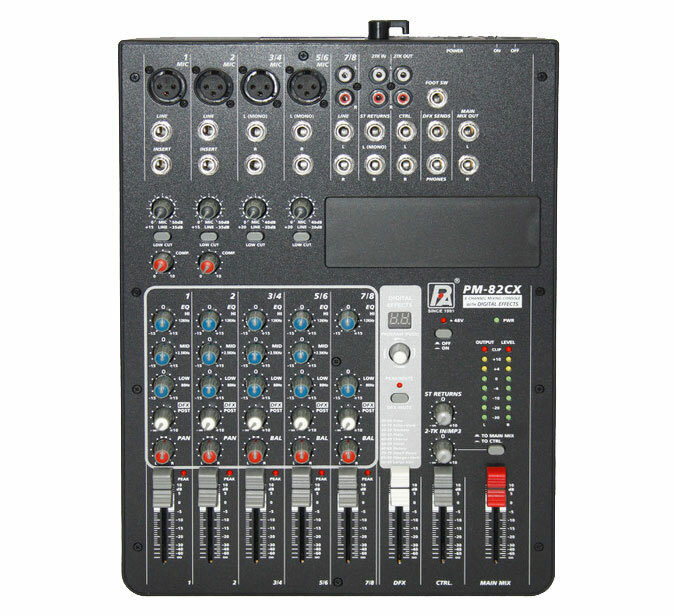 The P.Audio PM-82CX is a 8-channel mixer with digital effects. It features ultra-low noise discrete MIC preamps. The PM-82CX has Aux Sends per channel for external effects and monitoring for 8CH with digital effects mixer, DFX sends per channel for internal effects.